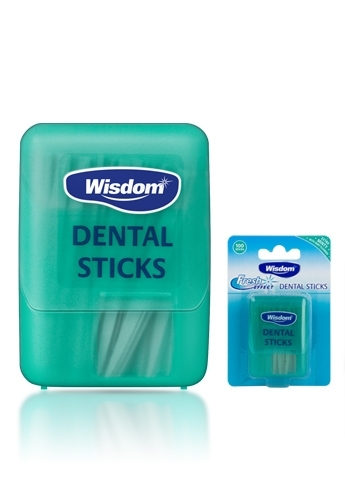 Wisdom Fresh Effects Extra Minty Dental Sticks with their triangular profile have been designed to effectively clean between the teeth and remove food debris after meals or whenever you need them, whilst the intense mint flavour leaves your mouth with a clean and fresh feeling after use. They also contain fluoride to help strengthen teeth against decay. Regular use helps fight plaque, gum disease and tooth decay. Use after every meal to help keep your teeth and gums healthy.